January 18, 1965: "A burglary case reported to the Humboldt county sheriff's department over the weekend is not likely to be pursued with any great diligence. 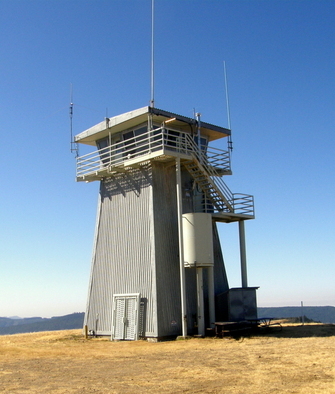 Robert Groves of the State Division of Forestry reported that the fire lookout station on Schoolhouse Peak, some 20 miles east of the Orick-Weitchpec road, had been broken into sometime during the flood period. Left behind was an undated, unsigned and slightly misspelled note which told its own story of troubles which probably will never be fully known. Missing were some food, a few tools and a lantern. 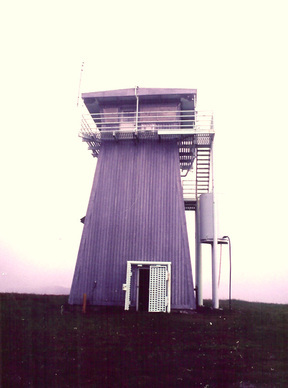 TRIANGULATION STATION SCHOOLHOUSE PEAK, USGS, 1941. STATION SCHOOLHOUSE PEAK USGS 1941 WAS OCCUPIED.